Global economic development landscapes had been undergoing profound changes for the last 30 years. We are not witnessing the end of the world order and the need to look for a new order for the coming decades. The rise of emerging powers is expected to reorder the global economy's architecture. Since early twenty-first, developing countries have maintained rapid economic growth and thier united strength is approaching that of the Group of Seven industrialized countries (G7). According to International Monetary Fund (IMF), the world's total GDP in terms of purchasing-power parity of G7 nations has declined since a decade ago. At the same time, the economic share held by BRICS nation has increased in the world's total proportion during the same period. It is clear that the world's economy today is not only monopolized by the Western Countries. In Asia, China, India and Indonesia have emerged and give further impetus to the economy. The world economy enters a 'new normal' and there are mounting challenges that need to be managed. As a result, the international community is calling for a new approach to growth and a competitive outlook with the hope of constructing new economic order for generating huge positive impacts among developed and developing countries. In fact, developing countries like Malaysia have become a new driving force in the global economy. We have begun to participate in top-level global governance design and play an increasingly important role in certain important global institutions. Therefore, it is the time for our entrepreneurs to stand out and creates a new order to propel our nation's economy. 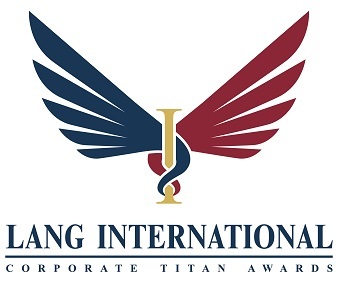 Coming together for a noble mission, we have organized a prestigious event “Lang International Corporate Titan Awards 2019”. The word “Lang” is taken from the shortened word of “Helang” in Malay language which means eagle. It represents the spirit of the awards that the winners are recognized as the leader in their respective industry. As the saying goes, “all birds find shelter during a rain, but eagle avoids rain by flying above the clouds” only those have courage to go beyond their limits will succeed. “Lang” is also related to Langkawi which is not only a beautiful island full of legends, today it has also played an inspiring role in creating history as it is the political base of our national hero – YAB Tun Dr Mahathir bin Mohamad. The “Lang International Corporate Titan Awards 2019” will be a process of certification that identifies and recognizes true achievers in the respect of being outstanding, genuine and trustworthy. We want ours to be noble, meaningful and recognized for its worthiness and credibility. In order to achieve that, we collaborate with the most authoritative working partners in Malaysia i.e Royal Police Malaysia (PDRM), Companies of Commissions Malaysia (SSM) and Universiti Teknologi Malaysia (UTM). On the other hand, we have formed a prominent and credible team of selection committee to ensure all deserved winners live up to the name of the awards. The transparency of assessment is closely monitored by the exclusive independent auditor, the leading global audit firm – ECOVIS AHL PLT. Subsequently, the awards will raise their business excellence in an effort to propel the economy of Malaysia. 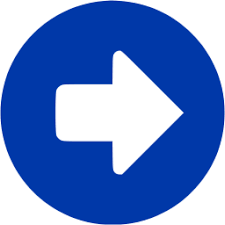 To bring order out of chaos and reduce non-genuine business activities. To instill the spirit to reform and create miracles among entrepreneurs. To establish a resource integration platform for local and foreign enterprises. To place the enterprises in good standing in the eyes of their respective business associates, investors, bankers, government bodies and so forth. To confer recognition of remarkable achievements to local and foreign enterprises and enhance their brand recognition. To elevate the status of Malaysia as the most active and strong business association through nurturing of entrepreneurs and sharing opportunities. To promote Malaysia to overseas tycoons in the respect of trade, tourism, education and etc. A simple and minimalistic concept that uses 2 wings coiling around the letter ' I ' to symbolize the award's attainment of international level. The word “Lang” is taken from the shortened word of “Helang” in Malay language which means eagle, symbolized by the huge wings which also represents the spirit of the awards, leading the winners to soar high for success and achieve victory. The blue and red colours on the wings signify unity and courage respectively. As the saying goes, “all birds find shelter during a rain, but eagle avoids rain by flying above the clouds”, only those who go beyond their limits will succeed. “Lang” also symbolizes the beautiful island full of legends - Langkawi that has played an inspiring role in creating history as it is the political base of our national hero – YAB Tun Dr Mahathir bin Mohamad.